The Active Clutch Line is comprised of DC operated single-disc clutches without slip ring, characterised by the fact that the dynamic effect of an electromagnetic field is used for torque transmission (electromagnetically engaged clutches). Active Clutch Line products ensure reliable clutch release with zero residual torque in any mounting position and zero backlash during torque transmission. 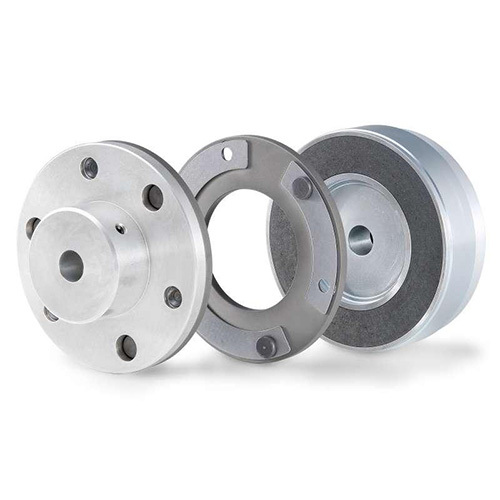 These clutches require little if any maintenance throughout their service span. The achievable switching power depends on the clutch version employed. Upon request, the clutch can be supplied with variable armature systems (shaft coupling). The Operating Instructions must be strictly observed during the set-up of the machine (e.g. motor) and during the start-up, operation and maintenance of the clutches. The state-of-the-art clutches have been designed, built and tested in accordance with the requirements of DIN VDE 0580 concerning electromagnetic devices and components. Additional information on technical specifications given in the data sheets is included in the operating instructions.